Expedia has some Mane packages ready for you. Combining your airfares and accommodations is one of the easiest ways to save cash on your upcoming vacation. Gain savings of as much as 40,450 YEN* when you book your package deal on Expedia. We have more than 400 partner airlines and 321,000 worldwide properties to select from around the world, which means your dream vacation is only a few clicks away! You don't have to worry about changing your travel plans, as we don't charge additional cancellation fees for almost all of our reservations. Itinerary need filling up? Mane vacation all organized but no idea what to do when you get there? Let us make it simple. For a visit that’s out of this world, take the entire family to Observatoire de Haute-Provence. Learn about the mystery and infinite nature of our universe, from the stars and the moon to black holes and faraway planets. Still got time on your hands? Appreciate a snapshot of life as it was in former times at Old Town. Fall for its age-old charm, admire the well-preserved architecture and delve into the history of this atmospheric neighborhood. There are 4 Expedia accommodations in Mane. Book now to make sure you can get a room for your next cheap vacation or luxury getaway. After a long flight, there's nothing like putting your feet up in a flashy room and ordering some room service. See what scrumptious treats await you at the Le Couvent des Minimes - Hotel & Spa (Chemin des Jeux de Maï) or the La Bastide Saint Georges (Route De Banon). If you'd prefer to spend your money on things such as action-packed adventures and wild evenings out, why not look into a few of our budget options? The La Campagne St Lazare (Ancienne Route De Dauphin) and the Les Ânes de Forcalquier (Campagne Pouvarel) are a couple of recommended ones. Working out the logistics of your trip to Mane? Wondering where you'll be flying into? Marseille - Provence Airport (MRS) is a convenient option. Once you've got your feet on the ground and left the gate, you'll be 45 miles (72 km) from all the action. 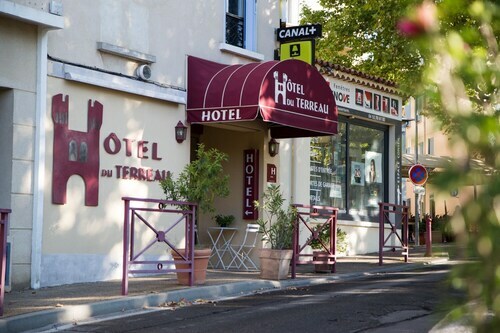 Situated in Mane, this luxury hotel is 1.8 mi (2.9 km) from Citadelle de Forcalquier and within 12 mi (20 km) of Les Vannades and Tour du Mont d'Or. Notre-Dame de Romigier and Jean Giono Center are also within 16 mi (25 km). 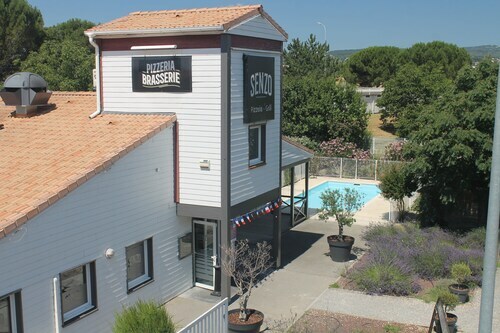 Situated in Mane, this guesthouse is 3.5 mi (5.6 km) from Citadelle de Forcalquier and within 12 mi (20 km) of Haute-Provence Observatory and Jean Giono Center. Notre-Dame de Romigier is 11.5 mi (18.4 km) away. Situated in Mane, this golf villa is 4.3 mi (6.9 km) from Haute-Provence Observatory and 6.5 mi (10.4 km) from Citadelle de Forcalquier. Jean Giono Center and Notre-Dame de Romigier are also within 16 mi (25 km). 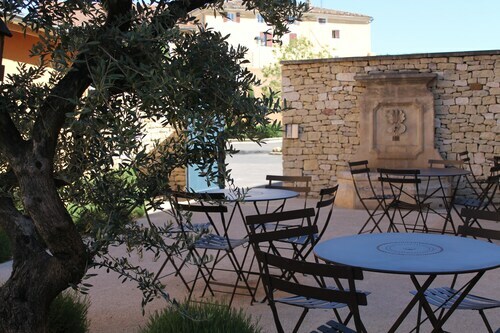 Situated in the entertainment district, this hotel is 0.9 mi (1.4 km) from L'Occitane Factory and within 3 mi (5 km) of Verdon Regional Natural Park and Jean Giono Center. Notre-Dame de Romigier is 2.4 mi (3.8 km) away. Situated in a regional park, this residence is 0.5 mi (0.9 km) from Cathédrale Ste-Anne and 3 mi (4.9 km) from Bruoux Mines. Chapelle du Château and Ochre Cliffs of Roussillon are also within 6 mi (10 km). 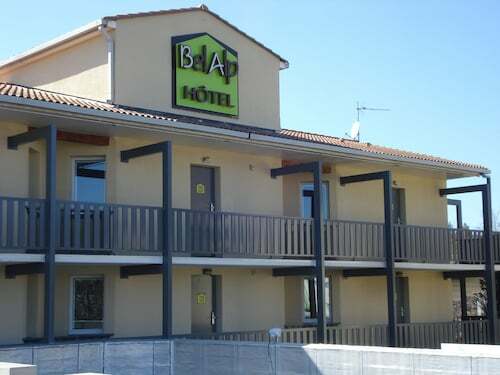 Located in the heart of Manosque, this hotel is within 1 mi (2 km) of Jean Giono Center and Notre-Dame de Romigier. Tour du Mont d'Or and L'Occitane Factory are also within 3 mi (5 km). Manosque-Greoux-les-Bains Station is only a 3-minute walk. 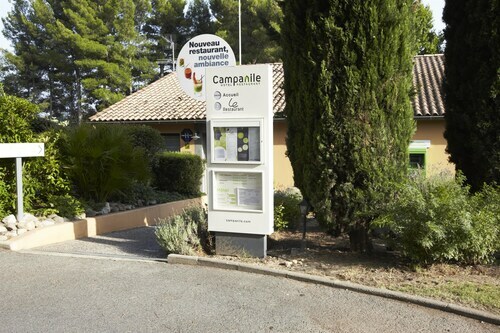 Situated in Manosque, this hotel is within a 15-minute walk of Jean Giono Center and Notre-Dame de Romigier. Tour du Mont d'Or is 1.1 mi (1.7 km) away. Manosque-Greoux-les-Bains Station is 15 minutes by foot. 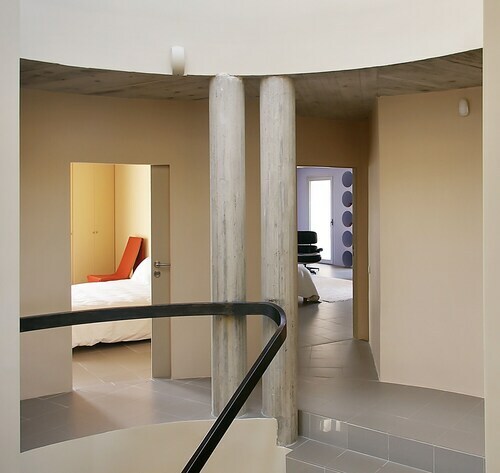 Located in the heart of Manosque, this hotel is within a 5-minute walk of Notre-Dame de Romigier and Jean Giono Center. Tour du Mont d'Or is 1.2 mi (1.9 km) away. Manosque-Greoux-les-Bains Station is 20 minutes by foot.